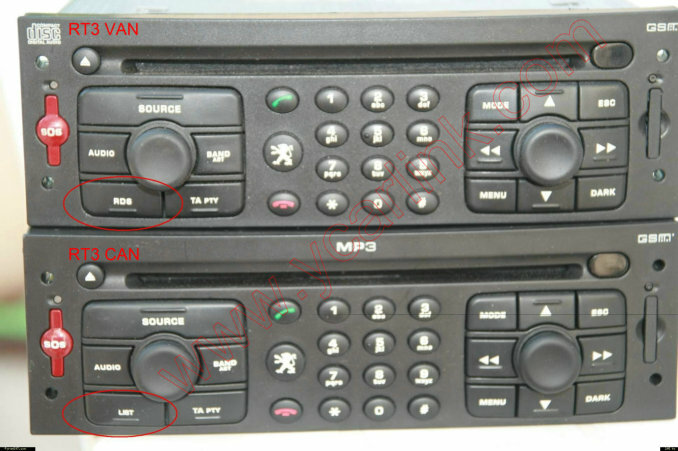 How to check software version of Peugeot/Citroen RT3 radios (Van-bus or Can-bus)? - China RT3 version,Yatour RT3,RT3 van-bus from Guangzhou Yatour Electronics Technology Co.,Ltd. Home SiteMap How to check software version of Peugeot/Citroen RT3 radios (Van-bus or Can-bus)? position: home page » products » FAQ and Tips » How to check software version of Peugeot/Citroen RT3 radios (Van-bus or Can-bus)? Product Detail - How to check software version of Peugeot/Citroen RT3 radios (Van-bus or Can-bus)? How can I know whether my BMW is with DSP or not?